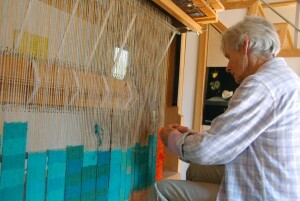 We’re excited to share about an exhibit of Silvia Heyden tapestries and a screening of A WEAVERLY PATH in Raleigh, NC. The Lee Hansley Gallery curated a beautiful selection of Silvia’s tapestries for an exhibit at the Duke Energy Center for the Performing Arts from October 2, 2018 through February 2, 2019. We will have a special reception and a screening of A WEAVERLY PATH on October 16th from 5:30-7:30pm. More info about the exhibit can be found here. 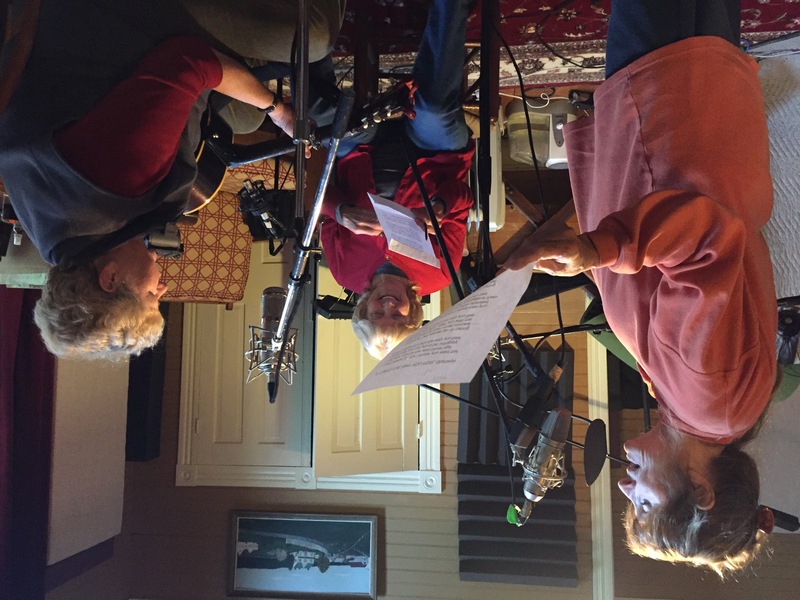 Alice, Kay Justice, and Ginny Hawker recording a new album up in Floyd, VA. There is much to share about our latest film, YOU GAVE ME A SONG: THE LIFE AND MUSIC OF ALICE GERRARD. First, we are very excited to have a teaser video up and running to introduce you to Alice and just a bit about her musical journey. Thanks to D.L. Anderson for big help with the edit on this. We launched this little video at the start of our successful Old Time Crowdfunding Campaign. A really big shout out to Executive Producer Ashley Melzer for her creative, purposeful, multidisciplinary work on many fronts. As we look to finish the film in 2018, we invite you to connect with us and the film, sign up for our Newsletter, and make a donation to the film via our amazing, one-of-a-kind fiscal sponsor, the Southern Documentary Fund. 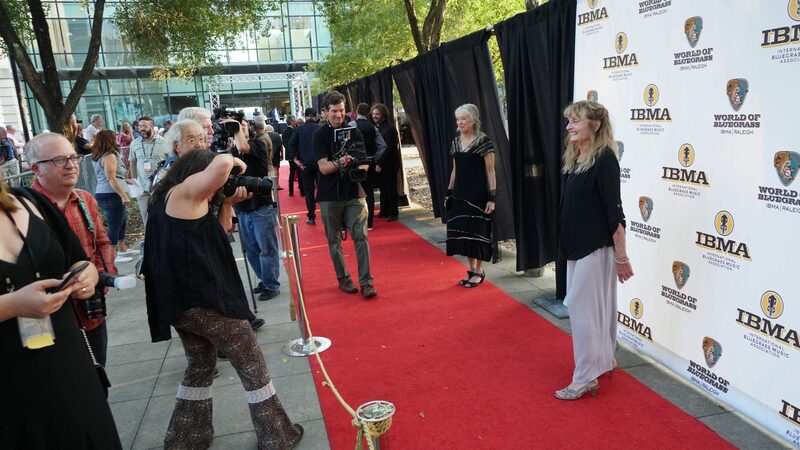 Alice walking the red carpet with Laurie Lewis (and with Kenny shooting) at the IBMA Awards Show. The film is in the latter stages of production and the very early stages of post production. 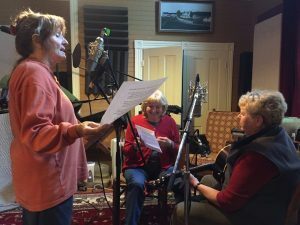 Over the past year Kenny has shot over 50 hours of footage capturing Alice playing music, collaborating and performing with other musicians, recording new albums, teaching old time music workshops, and training her very talented dog Polly. He has also shot many hours of interviews with cinematographer Warren Gentry. Kenny is also following Alice’s work on a book project which draws from the amazing images in her photo archive and will include written reflections on her musical journey. 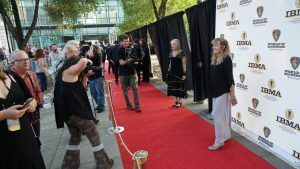 In the coming months, Kenny and cinematographer Warren Gentry will be shooting interviews with Alice’s children, musicians Sparky Rucker and Cathy Fink, and others; and Kenny will be documenting Alice’s ongoing book project work and upcoming performances and special events. We are also excited to be moving forward with transcriptions and pre-editing grunt work as well as ongoing archival research. Thanks to D.L. Anderson for introducing Kenny to Trint.com – an online transcription service that has helped us move things along. Trint allows us to upload interviews, like the Andy Cahan interview above, and get a pretty clean transcript in just a few minutes. Wow! We then are able to edit, make notes, and add the time code numbers needed for future use in post. 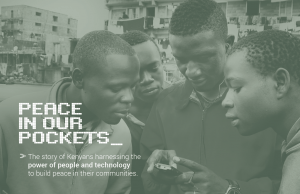 Please sign up for our Newsletter and follow our progress. Finally, please consider making a tax deductible donation to YOU GAVE ME A SONG to help us share Alice’s incredible story. In 2017, Kenny worked with Jen Jones of Democracy NC to document attacks on our voting rights and electoral system and to hear from some of the North Carolinians who’s votes have been wrongly challenged in past elections. “Faces of Fraud” captures the experiences of several North Carolina voters who faced false claims of voter fraud and spoke out about these efforts to intimidate and meddle in our voting rights. You can take action and protect the franchise and our courts in North Carolina by joining Democracy NC and supporting their good work. One of our recent projects celebrates the important work of The North Carolina Community Development Initiative (NCCDI), a non-profit working with partners across the state to transform communities and increase access to opportunity for all North Carolinians. Back in 2017, Kenny produced a video about NCCDI’s Youth Leadership Program. The program aims to develop the next generation of North Carolina leaders through an intensive, innovative five-week summer program and by placing rising high school seniors in internships with high-performing community organizations across NC. A Weaverly Path: The Tapestry Life of Silvia Heyden travels to the Blowing Rock Art and History Museum in Blowing Rock, NC for a screening Aug. 17th @ 7pm. We look forward to sharing the film with this art loving community and hope to see weavers and textile artists in attendance. The museum is located at 159 Chestnut St. Blowing Rock, NC 28605. Kenny enjoyed working with Dr. Ariana Curtis and Elena Munoz of the Anacostia Community Museum in Washington, D.C. to shoot a series of interviews about the experiences of Latino migrants and immigrants here in North Carolina. The interviews were woven into an outstanding multimedia, hands-on exhibit that has now been extended for the remainder of 2017. More from the exhibit here. Gateway: any entrance or passage that may be opened and closed. What does it mean for Latino migrants and immigrants to make a home in a U.S. city? Both struggle and triumph. 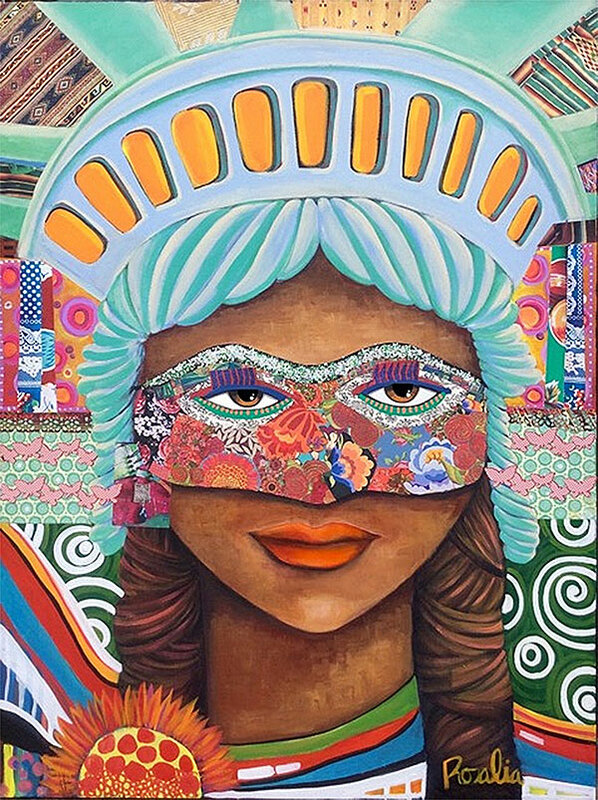 Through the gateways of social justice, community access, and public festivals, this exhibition explores the experiences of Latino migrants and immigrants in four U.S. metro areas: Washington DC, Baltimore, MD; Charlotte, NC; and Raleigh-Durham, NC. 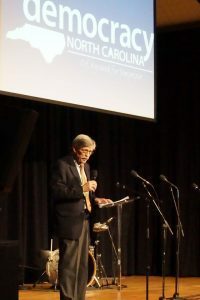 Bob Hall speaks at Democracy NC event in May 2017. Kenny produced a video celebrating the 25 year pro democracy work of Democracy NC and the legacy and leadership of long-time Executive Director Bob Hall. Kenny worked closely with Meredith Emmett and others to tell the inspiring story of Democracy NC, the civil rights roots and successes of the organization, and the role Bob Hall has played in strengthening democracy and good governance in North Carolina. More from the Democracy North Carolina website…. We are a nonpartisan organization that uses research, organizing, and advocacy to increase voter participation, reduce the influence of big money in politics and achieve a government that is truly of the people, by the people and for the people. Democracy NC grew out of Democracy South which began as a project of the Institute for Southern Studies. For more than 20 years, we’ve taken on powerful industries and political leaders, regardless of party, and promoted reforms that expand public involvement in the political process. Here are highlights of some research reports, as well as formal complaints that we’ve filed against Democrats and Republicans since 1991. We envision a government that is truly “of the people, for the people and by the people,” where barriers to vote or serve in public office are removed. We want people to have confidence in their political system and feel ownership of their government, and we want elected officials to represent and respect the diversity and interests of the people they were elected to serve. Bending Sticks: The Sculpture of Patrick Dougherty continues air dates on UNC-TV and beyond as part of the Reel South Series. Upcoming broadcasts coming Thurs., April 13 @ 10pm on UNC-TV and Wed., May 31 @ 8pm on UNC-TV’s NC Channel. For folks living beyond the UNC-TV airways, you can also look for air times on the WORLD Channel. Reel South has launched it’s second season with some amazing films. Check them out. We are excited to announce our broadcast premiere via UNC-TV’s NC Channel in January 2017. The film airs on Friday, Jan. 27 @ 2am and 11am. Check the NC Channel schedule for additional screening dates and times in coming months. Peace In Our Pockets Now Streaming! 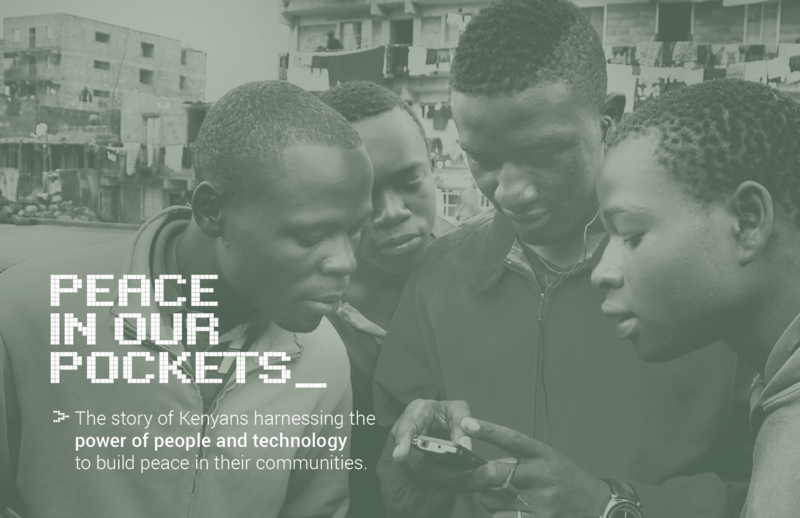 You can now watch Peace In Our Pockets on Youtube & Vimeo! We are making the film widely available to support important peace work locally and globally. – and people around the world are committing to build more peaceful, healthy, thriving families and communities. We hope hope the film offers inspiration and strategies to peacebuilders around the world. We invite university and college instructors and students to watch via Kanopy Streaming.